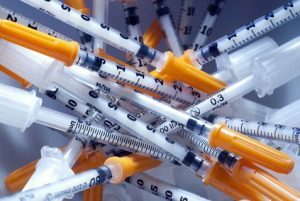 Sharps, dental waste, x-ray waste, pharmaceuticals, controlled drugs each have their challenges. At AWM, we have the safe, cost effective solution. Not just about the bigger picture of protecting the planet, but about helping you with the everyday challenges of good waste management. Licensed service centres – county wide coverage! So, if you need someone to take care of your clinical waste, speak to AWM.